Did I say we were taking a break from desserts for two? Who let me say that? What’s wrong with you guys? You know I can’t keep my mind away from sweets! 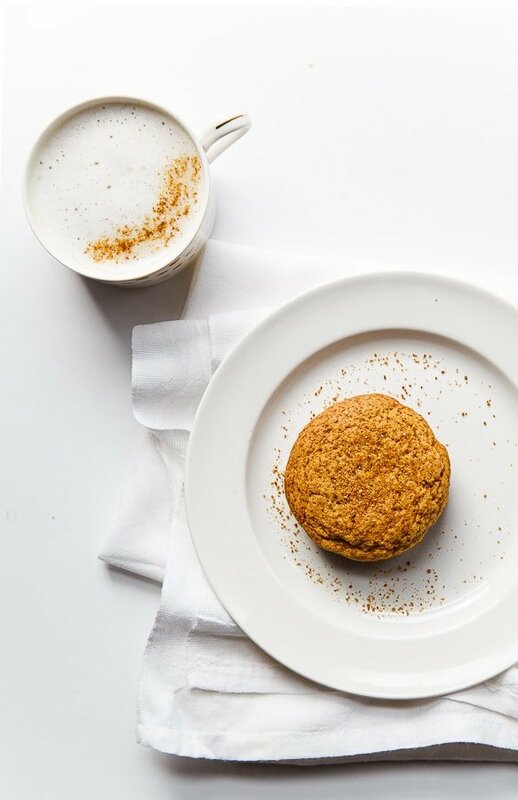 I do have more fun dinner for two recipes to share with you this month, but I didn’t think you would mind if I popped in and share the most perfect, soft, chewy sugar cookie first. So, coconut sugar. I kept hearing about it because of a diet fad (youknowtheone), and I wrote it off. It certainly sounded delicious (who doesn’t love coconut flavored everything? ), but I didn’t want to take the risk that it would be difficult to work with in the kitchen. Well, then my sweet friend Marnely sent me a bag, and it sat in my pantry for a few weeks. One morning, I was out of honey for my chai latte, and I substituted coconut sugar. I was completely enveloped by its warm, nutty, almost spicy flavor. I suddenly didn’t care that it was a trendy, new sugar alternative. All I cared about was eating more and more! Coconut sugar makes these cookies taste like they have a lot more goin’ on than they really do: they’re really just a plain sugar cookie. What coconut sugar brings to the party is a molasses-y, spicy flavor. So much flavor for such little work! A spice cookie without spice! I served these at a cocktail party this weekend, and while I normally apologize for desserts that contain natural sweeteners and other healthy ingredients, I did not apologize for these. They’re soft and chewy and everything you could want in a Friday night cookie. They’re so good that my husband got out of bed Saturday morning and made another batch all by himself. I have never in my life seen my husband bake a dessert in my kitchen. EVER. That’s how good these are. Amen. In a medium bowl, beat together the butter, coconut sugar, egg, and vanilla. Sprinkle the flour, baking soda and salt on top, and beat until combined. Scoop generous tablespoonfuls of the dough onto the prepared baking sheet, and bake for 8-10 minutes, or until the tops of the cookies look dry. Let cool on the pan for 1 minute, then move to a cooling rack to cool completely. Serve immediately, or keep covered in a storage container so that they stay soft. These sound so good, love to try new alternatives to regular sugar, especially in baking. I will be on the lookout for coconut sugar! Christina! so good that the Hubs made a batch himself?! Wow! (and I have to say I love the story of how you guys met from The Today Show. . or how he wanted to get closer to you. . so cute! and you guys are both equally good looking and adorable! and love that Camille is experiencing all the book love/TV show appearances with you guys. . so so special!!! and I love Marnely .. we have never met but I love stalking her IG feed! Happy Monday! i never say to cookies..you blog/photos/stories are getting cuter by the day. keep it up dear!!! These cookies sound amazing and apparently are. If a man that never has baked a dessert gets up one morning and makes these, I am absolutely convinced! Pinning this recipe! Ok, going to jump of the coconut sugar bandwagon now. You convinced me girl! I can’t get over that first picture- it’s so clean, so bright, and so well-shot! Teach me your ways, guru. Hah, Sarah–you are too sweet! For this photo, I used my standard north facing window, but it was very cloudy that day. But the sun was bright behind the clouds? Does that make sense? A bright, cloudy day? Anyway, my camera settings were: f/5.6, ISO 125 and 1/60sec. It was a 70mm capture on my 24-105mm lens. Hope this helps, but YOU take amazing photos too, girly! I love your oreo macarons photos!! I haven’t ever even heard of coconut sugar?! I’m so behind the times. Glad I know cool people like you to keep me in the loop! :) I may have to give these a try (if my teeny grocery store carries it!). I’ve never had coconut before but these cookies are tempting me so much that I’ll have to try it! Pinning! I haven’t heard of this new trend! I must live under a rock. Please tell me where that adorable mug is from? I can see gold polka dots and I’m in love! I love coconut sugar for baking! And I bet I would totally love these cookies too! I can’t imagine anything more that I want from a sugar cookie. Can I come over to your next party and be your test taster? Amen to that! I SO need to try coconut sugar! what a delicious way to showcase it! I have a bag of coconut sugar in my pantry. I bought it a few weeks ago so I could give it a try and all I’ve made with it were some “healthier” pancakes. So now I have something ever better to try with it – these cookies! LOVE them, Christina! I need to find me some coconut sugar. These cookies sound simply fantastic! I’ve never heard of coconut sugar – I’ll have to look for it! Hello! First time commenter, but I have been following your blog for just about as long as you’ve been writing it. It’s fresh and wonderful. Looks like you have nudged several loyal readers over to the bright side of coconut sugar. Add me, I have eyed it on the store shelves for a while now, yet not been willing to chance spoiling my beautiful ingredients! The proof is in the pudd…er..cookie! I will get some tomorrow and try your recipe a.s.a.p. Thanks! I used 3 TBS of butter and 3 TBS of coconut oil. Worked out fine. The cookies overall are a bit bland though. I bet I would like these and I don’t even like coconut!! They sound yummy!! Good morning! Today is the first day of receiving your blog on email and I couldn’t be happier. As a retired librarian, I love to find new foods but as a single it gets tricky. Your blog is perfect! Cooking for two is close to cooking for one and I am looking forward to lots of tasty fun! Such as today’s cookies, for example. I love cookies. I am not surprised you felt good at serving these. I would feel good eating them. Ha! Yum! 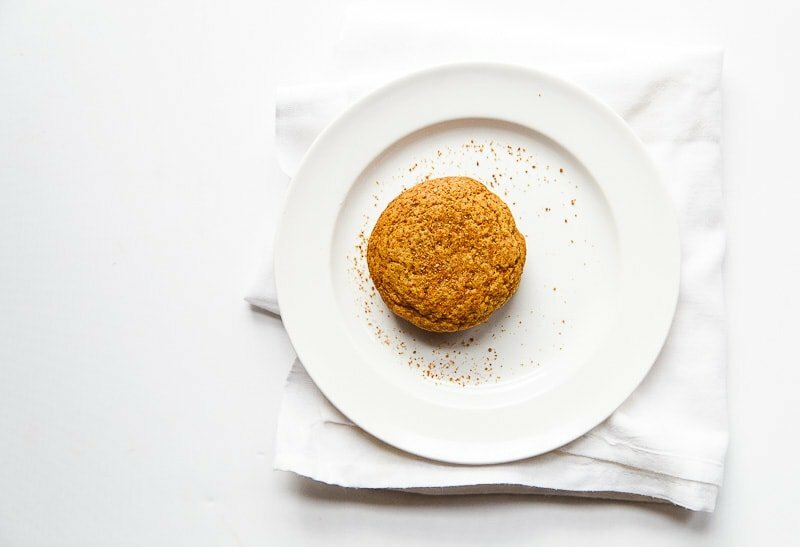 I love that you used actual coconut sugar – delicious! Hi there, thank you for the recipe :) Do you think it is alright to replace the plain flour with almond meal? If so, how does it affect the taste as compared to your original recipe plus how much almond meal do you suggest as the substitution? Thank you so much. Made these twice since I found the recipe. Turned out great each time. So glad I discovered coconut sugar. This will be my go to. Hi Christana! Coconut Sugar Cookies recipe becomes my favourite when I tasted it in one of my friends home few days back. But last week I tried it with your blog help at home and it was quite yummy and delicious. Everybody at home liked it. Thanks to you. We also deal with coconut products in USA. We (PancakeOrganics) are the exclusive distributors of organic coconut products such as organic coconut sugar, organic coconut oil, organic coconut flakes and organic coconut flour from USA. The organic coconut ingredient industries are booming in USA. Our current range of bulk packaging includes coconut oil, Coconut flour, Coconut flakes and coconut sugar. We deliver these products to North America. I was very impressed with the consistency of these cookies. 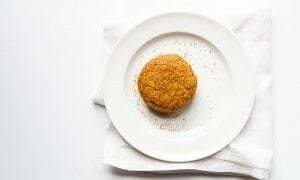 I have baked with coconut sugar before and have found it can act a bit more like brown sugar and can make cookies very cakey. I did find the sweetness factor to be on the low side but with a little royal icing that is not a problem ;) Thank you for the recipe! I am biggest fan of different cookies flavor.My favorite cookies are COCONUT COOKIES. I think coconut sugar cookies are fat free and have no any health issues even coconut sugar maintain our digest problems.Thanks for sharing. I love these and so do my kids. I have varied this recipe slightly by adding a tablespoon of white chia seeds. They add nice texture, I am obsessed with chia at the moment. Thanks for the recipe I have shared it with a few people. Made these just now!! So delicious, and just enough caramelly-sweet. Yum! And simple, too. Thanks so much! Thanks for sharing this wonderful recipe. My husband LOVES these cookies. Well the whole family does but my husband is requesting that I make more!! These are in my top five cookies of all time! The flavor and texture are so unbelievably good.i would love to see more coconut sugar recipes from you! I just pulled them out of the oven. They smell so good! I didn’t have butter, so I used 2 TBS butter and 4 TBS coconut oil. I used my own wheat flour, which was still a little too course even after I blended it up again in a blender. I also added a little ginger to about half the batch, because they looked so much like ginger bread, and it is fall after all! One issue I had with my substitutions is that when I went to pull the cookies out of the oven, each cookie that I had so painstakingly scooped onto the sheet had spread out, giving me one full cookie sheet of a giant cookie! :D :D :D I’m thinking that this was because of my course whole-wheat flour, (and maybe I put more coconut oil in than I thought) but the cookies (“or cookie,” in this case!) still turned out deliciously soft and chewy. Best cookie that I’ve attempted with my “healthy” flour. :D Once I have all the right ingredients I will make these as directed! Has anyone tried these with almond flour? If so is the measurements the same?